The .zip archive as above, and includes all PIC source and .HEX files for both FSK versions and a simple single tone demonstrator. PCB layout in various .PDF formats for home constructors. SOLD OUT No more mini kits available - sri folks ! 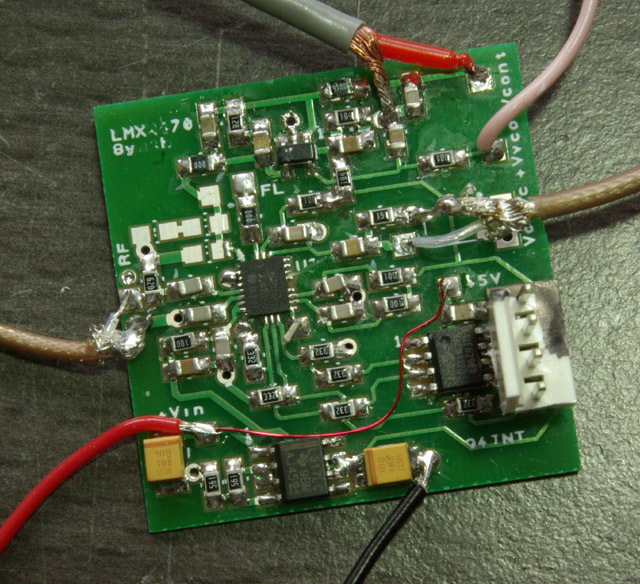 A PCB and design for using the LTC6946 up to 6GHz Integer-N synthesizer. 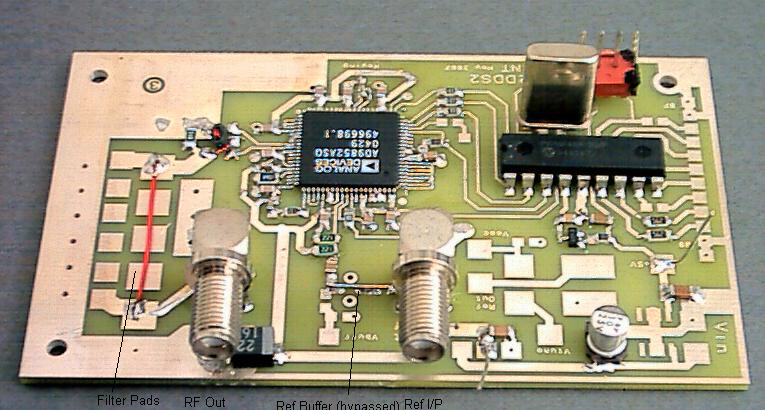 An integral output divider allows output frequencies down to 370MHz to be generated. This chip has an integral VCO and needs only a reference frequency input. An on-board PIC controller allows the chip's registers to be set by sending the register contents as ASCII text on a serial RS232 interface. A design for a separate PIC controller using ASCII text commands on a serial interface is included. Alternative PIC software for generating WSJT modes and for use with a rotary encoder / LCD will be available in due course. 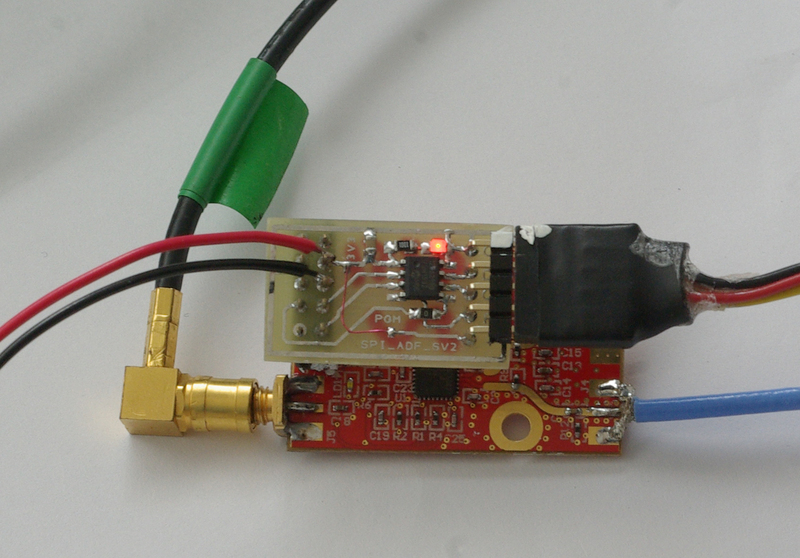 A PCB and design for using the LMX2470 2.6GHz Fractional-N synthesizer. With a separate VCO and reference frequency input, the PCB provides a convenient way to install the chip, a high speed op-amp active filter, power supply regulator and a PIC based controller allowing the chips registers to be set using ASCII text commands on a serial interface. 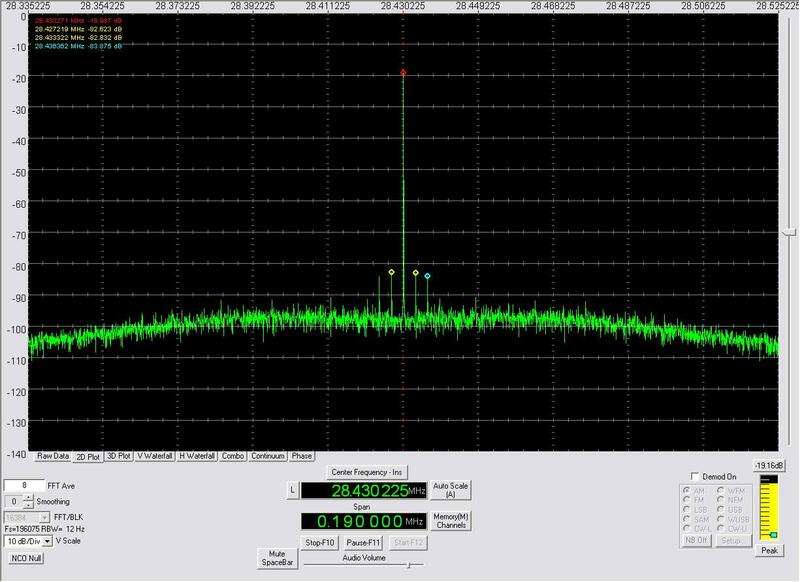 Commands have been included to allow real time programming for narrow band data modes such as JTxx. Complete archive including serial driver code for all synthesizers described on this site. PicKit to 'JNT Programming Lead Most projects on this site using PICs make use of a 4 pin in-circuit programming interface. Use this connecting lead to interface to PicKit2 and PicKit3 programmers. 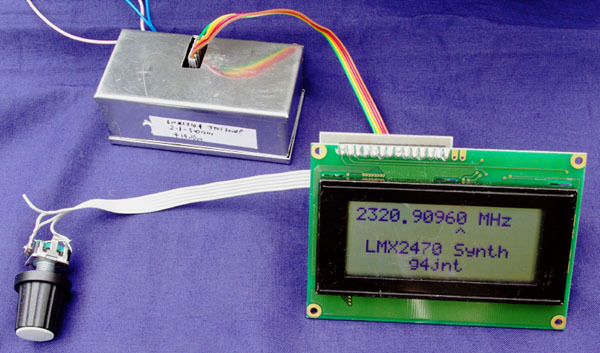 Rotary encoder / LCD Controller for LMX2541 and LMX2470 Synthesizers. 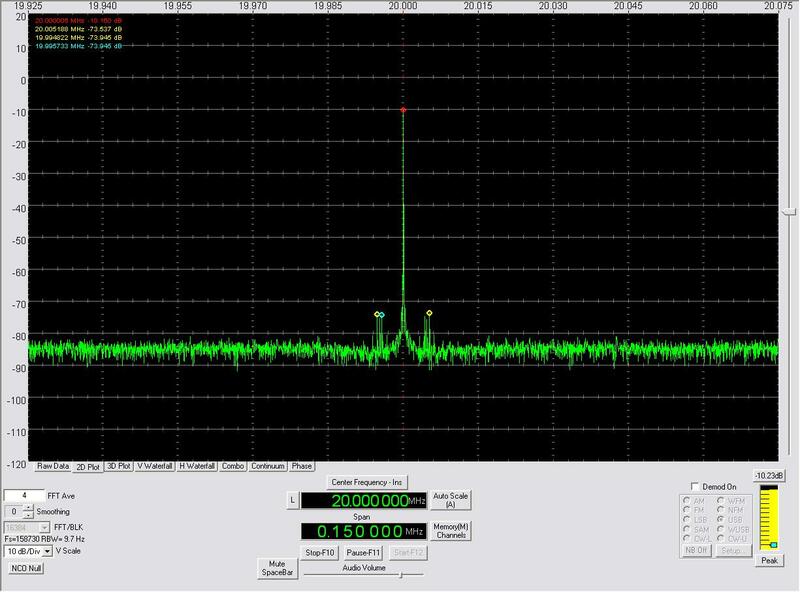 Tuning in 10Hz (or larger)steps, the LMX2541 version also allows the output divider to be controlled, giving a self contained tuneable synthesizer covering 40MHz upwards. 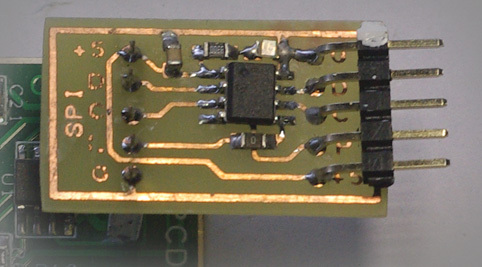 The PCB is identical to that for the AD9850 rotary encoder shown above. Verticom Synthesizer Control These Synths were originally described by G4FRE/WW2R. 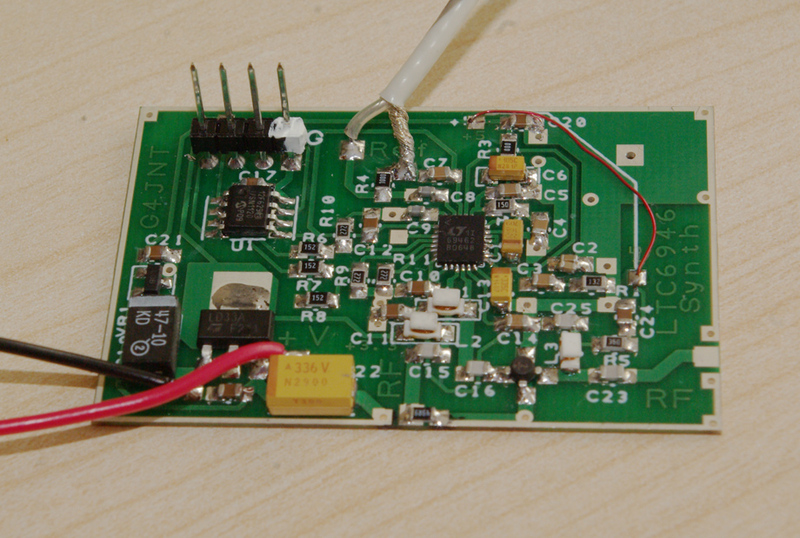 Here is an alternative PIC controller to that described, that allows control with ASCII commands on an RS232 interface. Also a utility (with VB source code) for calculating the values to be sent.